Musings 'n scribblings of a philanthrope .. : Mt. Agung volcano in Bali, Indonedia ready to erupt anytime now ..
Mt. 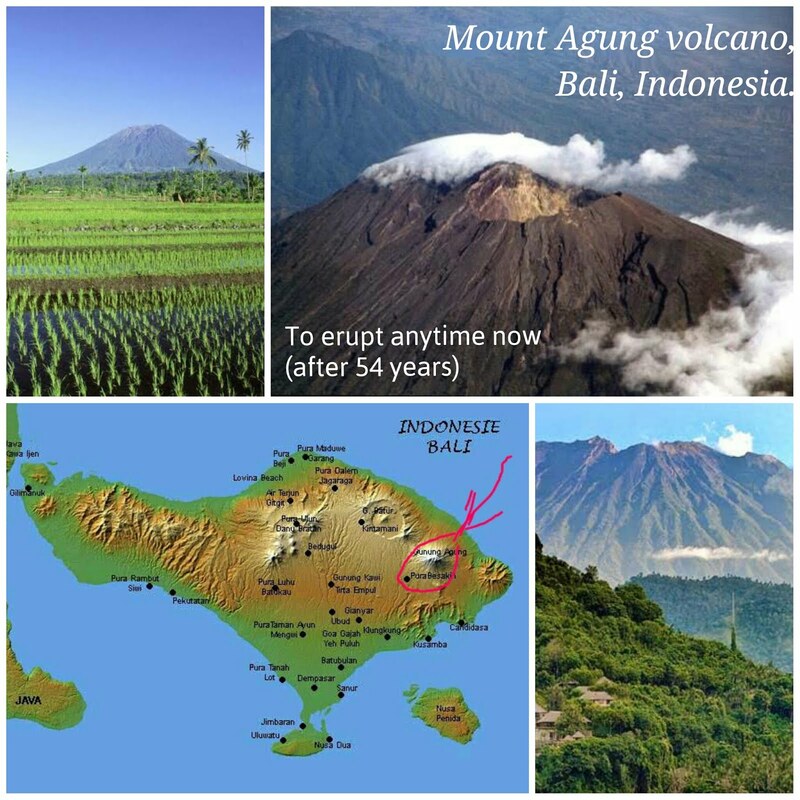 Agung volcano in Bali, Indonedia ready to erupt anytime now ..
Mount Agung ready to erupt !! Last time Mt. Agung, 3000 m high, in Bali, Indonesia erupted in 1963 for almost a year, the debris flew 10 km to the air at a speed of 700 km/hour and killed 1100 people. This time around a 12 km radius almost 16,000 people have been evacuated.. The ash debris after eruption, is expected to be of 1.6 km thickness. Hope it does not get too active and cause great damage to life and property. Watching closely ! click here for more details .